The Bloggess might get jealous. Gosh I hope so! Just kidding, I hope we become BFFs. I always like Wesley too and was SHOCKED at my first convention when I heard someone make fun of his character. 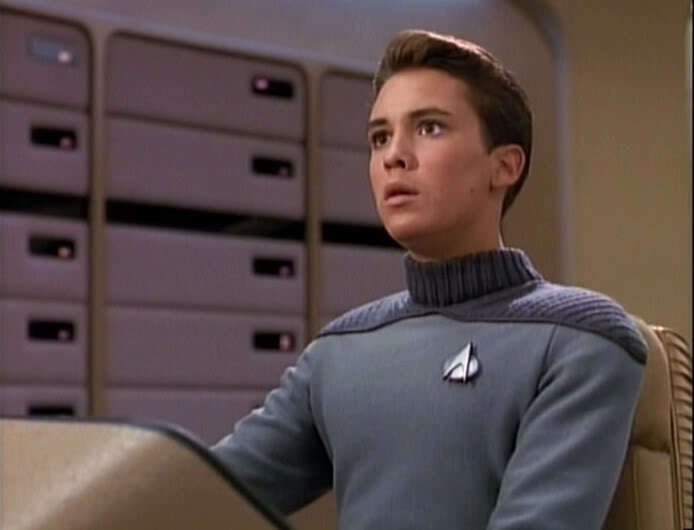 I was the same age as Wesley so seeing him on the bridge of the Enterprise made me feel like some day I maybe could be on the Enterprise too. Aw man, this blog made me so happy. You’re totes awesome. Thanks and thanks! I high five myself on a daily basis. That was great to read. I also was (am) mocked for liking Wesley, but damn, he was my tv boyfriend, and he was amazing. I was a nerdy teenager, and it was nice to watch a teenager be appreciated for being smart. Seriously! I think that that was a huge part of his charm for me, too – the fact that he was appreciated for being smart! Not being hot, or funny, or popular, but smart. Gosh I love brains! I found this by clicking a link that lead to a link that lead to you. I love you . . . Probably in the same way you love Wil wheaton but less because, well , I just found you. But I full on plan to net stalk you for about forever. Wheaton | The Belle Jar <Loved it!